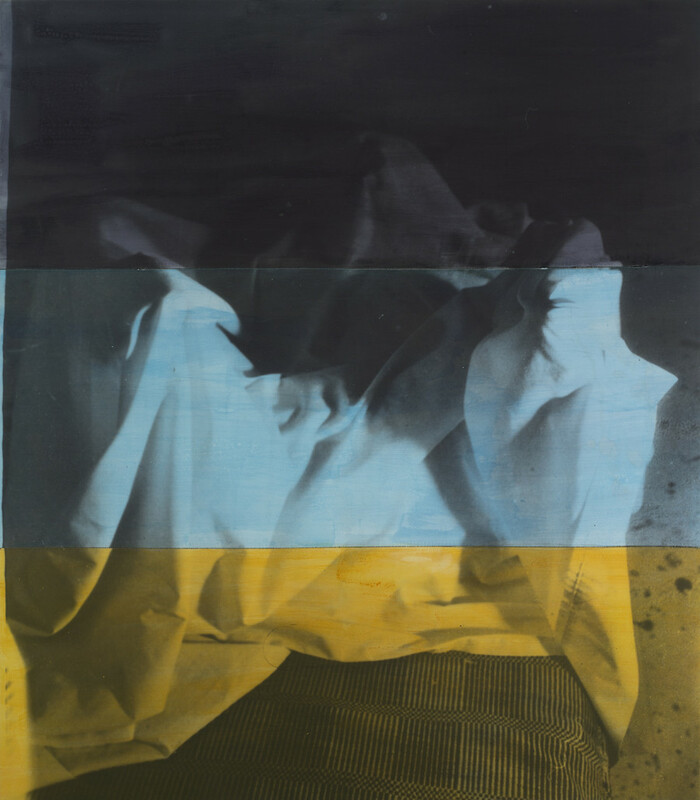 David Salle's Ghost Paintings were made in 1992, but never exhibited before this year...The Ghost Paintings are made from large photographic images printed on three contiguous linen panels. 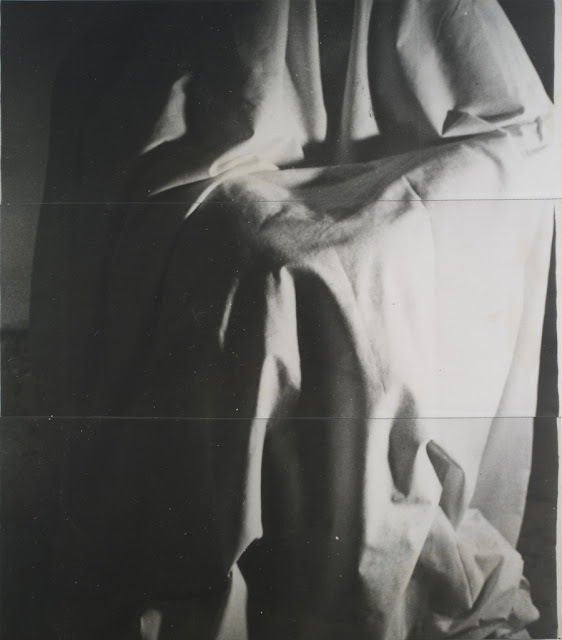 The “subject” of the photograph is that of a woman creating improvised movements under a large piece of fabric. 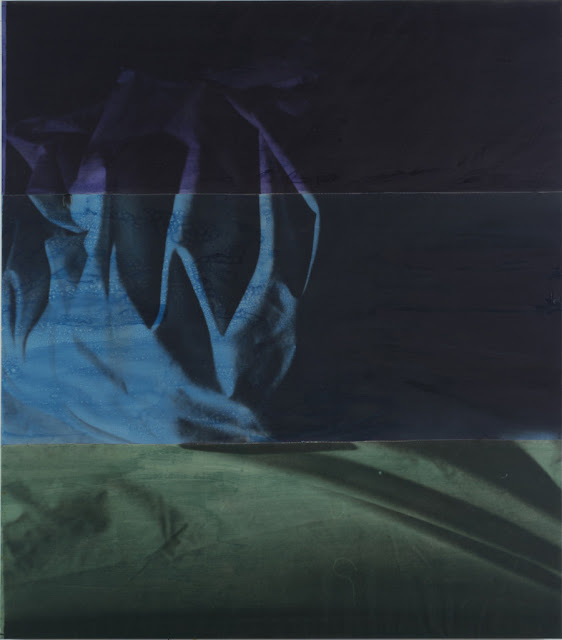 The three horizontal panels are then painted over with fields of intense color. 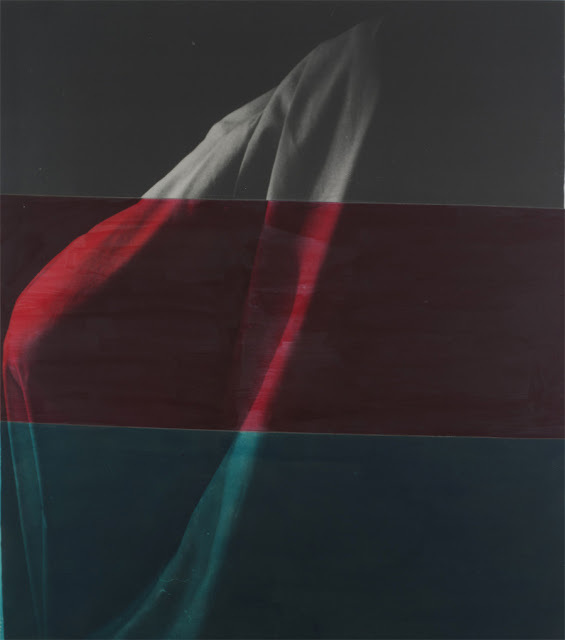 The series represents the canvas surface of painting at three levels: as a photographic subject (the fabric in the dancer’s hands), as a readymade ground (the linen imprinted with photographic emulsion), and as a traditional surface for the application of paint. The Ghost Paintings concretely merge painting, photography, and performance to produce mysteriously imagistic works in the best innovative spirit of postmodernism.